And whether black people like it or not, #IsraelMatters more than blacks. Get mad if you want, but it’s the truth. The Jews are God’s chosen people. At one point in history God distributed Jews all over the continent. He returned them to Israel where they returned from all over the world still holding to Jewish traditions and speaking their same language. It was as if they had never been separated, except for their different skin tones. At the end of Shavuot, the holiday commemorating G0d’s delivering laws to the Jews on Mount Sinai, there was a massacre of the Hebrews in Baghdad. Living in Iraq for 2,600 years, one would think that an attack of the magnitude that happened would come with some warning. The Jews of Baghdad were unable to protect their men, women and children. Too many Jews think that we will be delivered unconditionally from evil by Hashem. Maybe so. But as we learned from the Holocaust, the price was millions of Jewish lives. As horrible as this sounds, maybe Hashem was trying to get a point across to Jews. YOU MUST GO TO YOUR HOME—THE LAND OF ISRAEL. Imagine if Jews had embraced Zionism earlier, not just in the 40’s but way before—let’s say sometime between the Roman slaughter of Jerusalem in 70AD and the 1940’s. That’s almost 2,000 years of living in host countries were we were welcomed one year and murdered the next. We didn’t provide ourselves a single place where we were capable of effectively fighting back. Even though Israel effectively defends itself today, don’t forget the attacks upon Jews in Europe, specifically in Belgium and France. Often times, as in Egypt, Jews were welcomed with opened arms by Pharaoh, only to fall into a 400-year-slavery trap when Egyptian leadership changed. While Jews were mired solidly in Pharaoh’s hands, G0d took action. He sought out Moses to pry Jews away from Pharaoh and return them to the Promised Land. But in His Wisdom He didn’t just give it to the Jews; He made us fight for it! After 40 years in the desert, G0d tolerated little from Moses’ and Aaron’s generation, and ultimately G0d banned their generation from settling in Israel. The 1948 war of Independence. The rebirth of Israel was greeted with five Arab armies invading the tiny country. Their Air Force consisted of four planes piloted by four Jewish WW2 Veterans who volunteered from the states. The 1967 Six-Day-War. Jerusalem Rabbi Moshe Rothchild said that the US Armed Forces don’t teach the lessons from this war. The professors claimed they don’t deal in miracles. The Raid on Entebbe, July 4th, 1976. Palestinians hijacked an Air France plane With 248 passengers. They landed in Uganda with the cooperation of its leader, Idi Amin. Instead of heeding their demands, Israel sent a plane on a surprise night attack. Almost all of the passengers were rescued. Three hostages, all the Palestinian hijackers and 45 Ugandan soldiers were killed. Five Israelis soldiers were wounded. Yonatan Netanyahu—the brother of Israel’s Prime Minister, Bibi and leader of the raid was the only Israeli soldier killed. Back to the Shavuot massacre in Baghdad on June first and second of 1941, where unarmed Jews were attacked by thousands of Arab/Muslim rioters after the pro-Nazi Iraqi government was toppled. While the rioters had guns, knives and grenades, the Jewish citizens tried to fight back with furniture, brooms, and kitchen utensils. Death toll: 200 plus Jews murdered. 2,000 were wounded and 1,000 businesses destroyed. 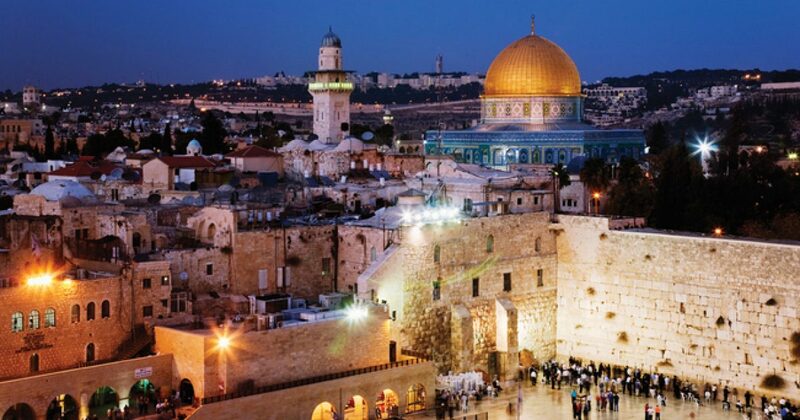 Whether you believe in miracles or not, you’d have to say that the Jews in Israel have not just succeeded—they’ve thrived—and in a world that is at as high a level of hatred and jealousy as in the late 30’s. I don’t know about you, but G0d’s Finger, if not His entire Hand seems to have helped the Israelis. In my opinion, He did this when the Jews got serious about regaining the land He deeded to them almost four thousand years ago. G0d wants a vibrant, Jewish Israel. If we dare give up on Israel as the Jewish State, G0d indicates he may give up on us.